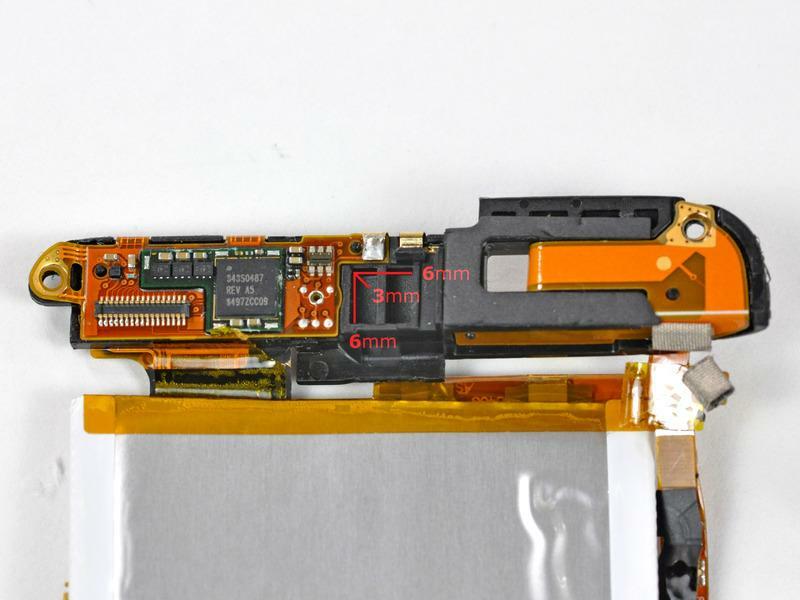 A look inside the latest iPod touch hardware reveals the device has space to fit an iPod nano-style video camera, and also sports a wireless chip that supports 802.11n. The new, faster, higher-capacity third-generation iPod touch was long-rumored to receive a camera, and mounting, convincing evidence in recent months led many to believe it was an inevitability. Apple surprised this week when it announced a 64GB iPod touch without a camera, adding credibility to reports to AppleInsider that hardware issues prevented the new feature from becoming a reality. Providing even more support for that rumor is a disassembly of the new iPod touch by iFixit. 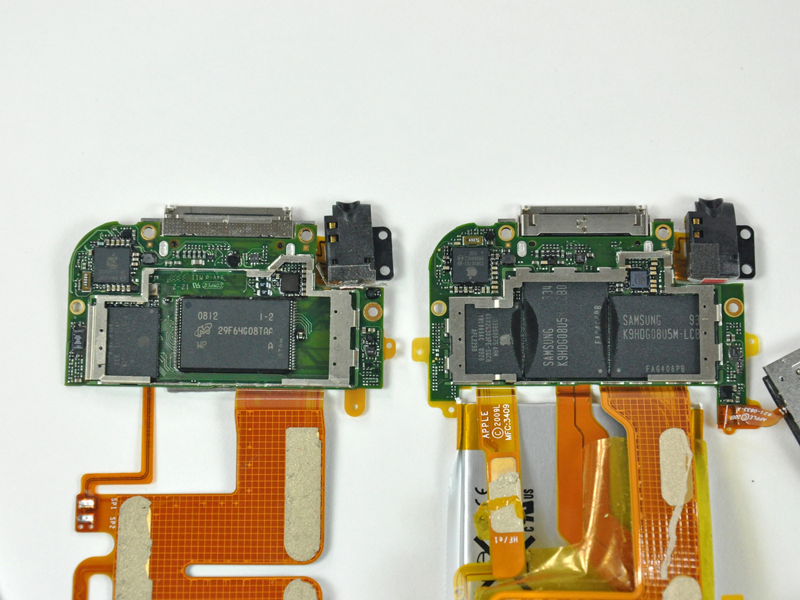 In their teardown, they found enough space to fit a video camera, like the one featured in the new iPod nano. In addition, the space is in the center on the back of the device, where the camera was rumored to be located. However, there are no headers on the iPod's board for a camera cable. "It appears that Apple left in room for a camera in the top of the device," the solutions provider said. "There is a 6mm x 6mm x 3mm space between the Broadcom chip and the wireless antenna. There isn't enough depth for an iPhone-style autofocus still camera, but just enough room for the camera that Apple used in the 5th generation iPod nano." The new iPod nano has a video-only camera. Apple co-founder Steve Jobs said in an interview with The New York Times this week that the iPod touch was not given a camera because the company wanted to focus on promoting the hardware as a gaming machine, and keeping the low-end model's price under $200. However, sources have suggested to AppleInsider that the hardware maker still intends to introduce an iPod touch with a camera. 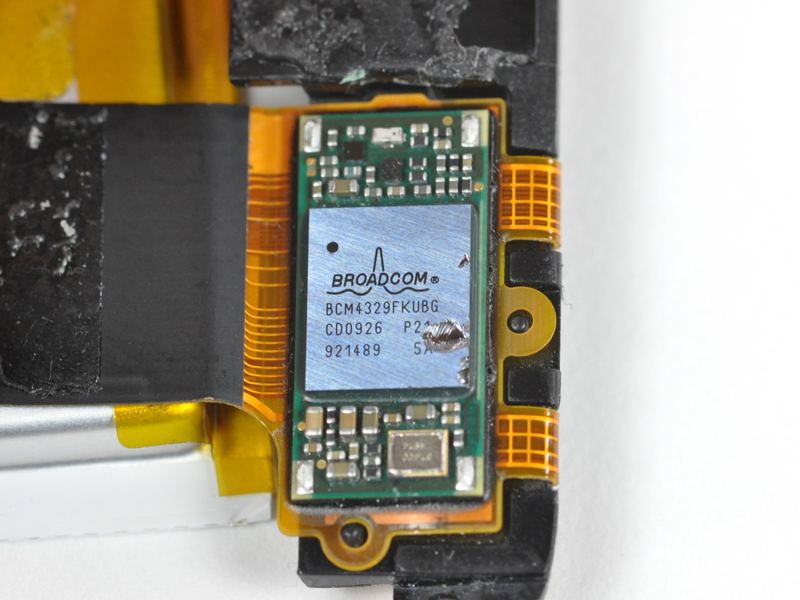 iFixit also found a Broadcom BCM4329 chip inside the new third-generation device —a wireless receiver that supports 802.11n. The iPhone 3GS has a BCM4325 chip, which only supports 802.11 a/b/g. The new iPod touch does not support 802.11n Wi-Fi out of the box. "This reminds us of last year when we broke the news that the 2nd generation touch had Bluetooth support in hardware," they said. "Apple didn't enable software support until 9 months later with iPhone OS 3.0." The new device also features a Bluetooth 2.1 + EDR and and a FM receiver and transmitter. However, that does not necessarily mean that the iPod touch will be able to receive and send FM signals. The latest iPod nano, however, does have a built-in FM receiver. "If they built in the antennas, and if Apple adds software support," iFixit said, "you could theoretically stream music to your car stereo without any external hardware. But that's a lot of ifs." "While we were all disappointed by Apple's underwhelming iPod touch announcement, it is clear that there is more engineering effort under the surface of this device than meets the eye."